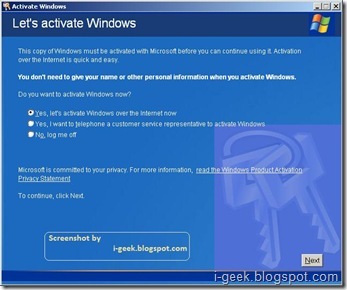 geeklog- ultimate geek knowledge: How to activate Windows XP? 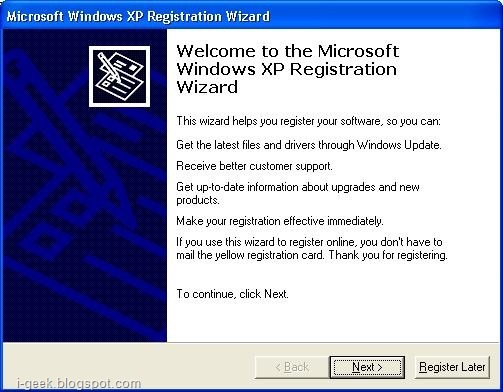 This a brief guide to how to activate Windows XP or check if your Windows XP is activated. 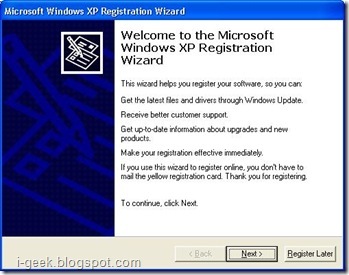 Microsoft Windows XP Registration Wizard appears, then follow the instructions shown. For More information visit, Windows Genuine Advantage website and articles in the geeklog.